High school students design radiation experiment chosen to safeguard the health of America’s future astronauts #NASA « Adafruit Industries – Makers, hackers, artists, designers and engineers! Universe Today posted this great article about a group of high schoolers that designed a radiation experiment that will be put to use by NASA later this year. When NASA’s next generation human spaceflight vehicle Orion blasts off on its maiden unmanned test flight later this year, a radiation experiment designed by top American high school students will soar along and play a key role in investigating how best to safeguard the health of America’s future astronauts as they venture farther into deep space than ever before – past the Moon to Asteroids, Mars and Beyond! The student designed radiation experiment was the centerpiece of a year-long Exploration Design Challenge (EDC) competition sponsored by NASA, Orion prime contractor Lockheed Martin and the National Institute of Aerospace, and was open to high school teams across the US. 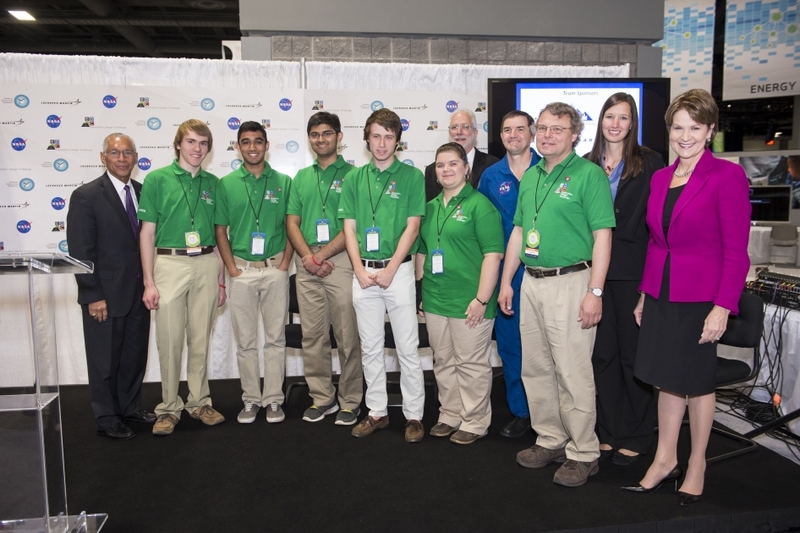 The winning experiment design came from a five-member team of High School students from the Governor’s School for Science and Technology in Hampton, Va. and was announced by NASA Administrator Charles Bolden at the opening of the 2014 U.S.A Science and Engineering Festival held in Washington, DC on April 25. 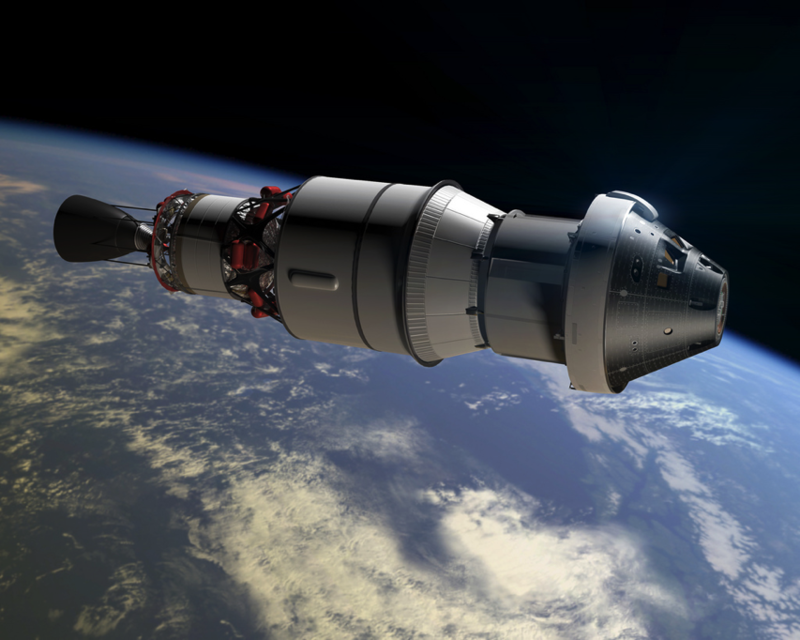 The goal of the EDC competition was to build and test designs for shields to minimize radiation exposure and damaging human health effects inside NASA’s new Orion spacecraft slated to launch into orbit during the Exploration Flight Test-1 (EFT-1) pathfinding mission in December 2014. See experiment design photo herein. During the EFT-1 flight, Orion will fly through the dense radiation field that surrounds the Earth in a protective shell of electrically charged ions – known as the Van Allen Belt – that begins 600 miles above Earth. No humans have flown through the Van Allen Belt in more than 40 years since the Apollo era. 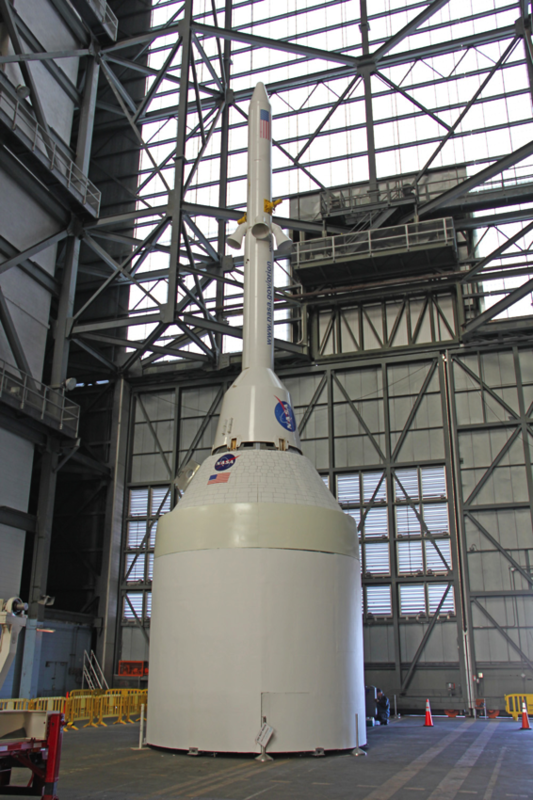 Since Orion EFT-1 will climb to an altitude of some 3,600 miles, the mission offers scientists the opportunity to understand how to mitigate the level of radiation exposure experienced by the astronaut crews who will be propelled to deep space destinations beginning at the end of this decade. The student teams used a simulation tool named OLTARIS, the On- Line Tool for the Assessment of Radiation in Space, used by NASA scientists and engineers to study the effects of space radiation on shielding materials, electronics, and biological systems. Working with mentors from NASA and Lockheed Martin, each team built prototypes and used the OLTARIS program to calculate how effective their designs – using several materials at varying thicknesses – were at shielding against radiation in the lower Van Allen belt. “The experiment is a Tesseract Design—slightly less structurally sound than a sphere, as the stresses are located away from the cube on the phalanges. The materials and the distribution of the materials inside the tesseract were determined through research and simulation using the OLTARIS program,” Lockheed Martin spokeswoman Allison Rakes told me. The students conducted research to determine which materials were most effective at radiation shielding to protect a dosimeter housed inside – an instrument used for measuring radiation exposure. “The final material choices and thicknesses are (from outermost to innermost): Tantalum (.0762 cm/ .030 in), Tin (.1016 cm/ .040 in), Zirconium (.0762 cm/ .030 in), Aluminum (.0762 cm/ .030 in), and Polyethylene (9.398 cm/ 3.70 in),” according to Rakes. At the conclusion of the EFT-1 flight, the students will use the measurement to determine how well their design protected the dosimeter.